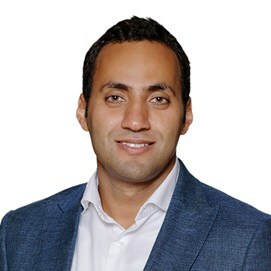 Mohamed is a multi-disciplinary consultant who focuses on the intersection of strategy, finance and data analytics. For 14 years he has partnered with private and public institutions across Europe, the Middle East and Africa to deliver commercial and public value through working with clients to innovate through strategic thinking, new business models and data. Mohamed holds a Master of Business Administration (MBA) from IE business school in Spain and is interested in economic empowerment, impact investing and disruptive business models. Innovated a data analytics solution for a telecommunications company to improve management of technology investments and maximise capital efficiency. Before joining Nous, Mohamed was a consulting director at a Swiss consulting firm where he focused on strategy, finance, and data analytics engagements across Europe and the Middle East. Before that Mohamed worked for Oracle Corporation in various consulting and leadership role in the Middle East and Africa. Mohamed volunteers with T20, a think and action tank of the of the alumni of top 20 global business schools, providing insights on development issues. Mohamed is active in the start-ups eco-system as a mentor and an angel investor and has a special interest in fintech, data analytics and artificial intelligence. He holds an MBA from IE Business school and a Bachelor of Information Systems and has completed all charted financial analyst exams. Mohamed enjoys reading about economics, politics, business and technology. He is an outdoors lover, a CrossFit athlete, a runner, a paragliding pilot and a scuba diver.